Something is rotten in Norway – 500,000 sq-km of sea ice disappears overnight | Watts Up With That? I had planned to do a post yesterday evening about how sea ice area and extent had returned to very near normal levels. But I was tired, so I saved off the graphs from the NANSEN arctic sea ice site. There is no mention on the NANSEN website as to this change. So either it is an automation error or an undocumented adjustment. Either way, since this is for public consumption, NANSEN owes the public an explanation. After examining the above, it appears the issue only manifests itself when comparisons to the 1979-2000 monthly average are made. The adjustment starting point appears to start around September 10th – at the summer minimum for both area and extent. This could be a data processing error, though if so, it is so blatantly obvious to anyone who follows the NANSEN presentation that it immediately stands out. Many people commenting on this blog and others also saw the change without the benefit of my handy-dandy blinkj comparator above. That fact that it occurs on a weekend could be viewed as suspicious due to fewer eyes on the website , or an indication that they have sloppy quality control there at NANSEN and this was published via automation with no human inspection prior to the update. Also interesting is that they extended the date of the ice minimum by about a week. I have found no mention or explanation of the changes on their web site. Nansen uses a different baseline from NSIDC, including the entire period from 1979-2007, whereas the NSIDC baseline only goes through 2000. Yet their graphs are now nearly identical, as shown in the overlay below. NSIDC “extent” is shown in thin turquoise, and Nansen “area” is shown in red. (I unfortunately can’t do an apples for apples extent comparison, because I don’t have a snapshot of the Nansen December 10 “extent” graph.) I wonder what could have motivated such a change? Over the last couple of years there have been several times that ice measurements have changed at various web sites, but the changes always seem to be downwards. I can’t remember a single time when ice area or extent was revised upwards. The explanation (if one is offered) will be interesting to say the least. For my opinion though it seems to be an incomplete answer, generating even more questions. I think we can all understand changes in data, but no reason why is hard to understand. Now it’s winter, Global Warming is clearly lurking out of sight somewhere, like a hidden predator. Occasionally it emerges to seize and devour some unsuspecting sea ice, before hibernating until spring. NANSEN owes the public an explanation. I’m getting pretty fed up with this kind of “standard” for operation. They don’t seem to understand that not only is it shoddy, it’s outright suspicious until proven otherwise. Thanks again, Anthony. Thinks always do that in the morning after Friday night. things, I meant things. Good think I didjkn’t typeis thies laslit nighyt! In 2007, when Antarctic ice area was about to break the record maximum, Cryosphere Today made a similar downward shift. We now know that CO2 affects graphing software, as well as ice. I check the NANSEN in the evening. So I hadn’t seen this yet. But it is true, the graph just changed. So they are mistaken now, or they have been mistaken for a couple of months. Probably it is a temporary error. Notice the 2008 line doesn’t change shape. Instead it pivots at about September 11. What does your Sea Ice chart to the right here look like compared to the two versions of the red line above? Which date does it match better with? Perhaps the Polar Bears were too cold? Ice Pirates aren’t actually science fiction? Due to harsh economic conditions, the ice was downsized? CO2 affects the people running the graphing software? The ice forgot to apply for a bailout? They got an ominous phone call late at night? I made a video of the change, which shows that the delta increases with time since September 11. This is interesting because it indicates that it is not simple offset of data relative to the baseline, but a systematic change in the measurement with increasing distance away from the pole, where the more recent ice is forming. My favorite part is how it disappeared retroactively back in September. Since deliberate financial damage equals damages, I’m sure that these people will have the opportunity to explain, in depositions and discovery, how and why they did this, at some point in the future. Shapewise the graph is the same except for an “adjustment” in mid-September. Before that, the graph is static. After that the graph line has the same shape. By that I mean you could overlay it on the earlier graph and it would fit. The sea ice extent, of course, shows lower because of the downward shift in September. Curious. Interesting. I’d archived that graph also, intending to forward it to a pro-AGW friend of mine. Good thing I waited. Data disappearing overnight with no explanation, not even a whiff of burning paper left behind. Sehr interessant! I had also noticed there was a delay in posting the data. There had been a couple of days where the latest data was based on the tenth. Then there was the drop on the new chart. If you compare it with this, it looks as though the earlier version is the better fit in terms of absolute numbers. Save it before they do. That is quite an adjustment! And it sure goes back far. Are other agencies doing the same thing? Maybe it went to the same place the MWP went? Or was it just a hot time in the old town last night? I look forward to Nansen’s explanation. They can’t possibly expect make such a change without someone noticing. Or would they? It does seem a bit odd however that this is occurring when Europe is loudly proclaiming its commitment to reducing emissions in order to “Save the Planet” from a relatively harmless gas. The period of very rapid increase in ice extent that characterized October and early November has ended. The rise in ice extent through the remainder of November and early December has been much slower. The arctic ocen was practically completely frozen over on November 1. You can compare 2008 with 2007 here. I would like to know where this “heat release” was occurring. And what actually limits the growth of ice is the sun. 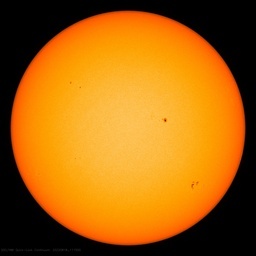 It is hard for either polar region to freeze much lower in latitude than where the sun reaches. We are now reaching the maximum extent of darkness in the arctic. Starting in January the rate of growth of ice will begin to decrease until it reaches zero at about the time all of the arctic is receiving some sunlight. But this “adjustment” does reconcile one thing that had been bothering me. Cryosphere Today had been showing a half-million Km^2 negative ice anomaly in the NH while NANSEN had been showing about zero anomaly. This “adjustment” by NANSEN puts the two in closer agreement. Speaking of Arctic ice, there seems to be a discrepancy between http://arctic-roos.org/observations/satellite-data/sea-ice/ice-area-and-extent-in-arctic and http://nsidc.org/arcticseaicenews/. Is it just me? Even though the time periods are different, 21 years and 28 years, the graphs looked to be too far apart. I could see some difference, but there were some higher ice years after 2000 before 2006 and 2007 to offset those years. I suspected that NSIDC was not being accurate with their graph, but it might be Nansen that looked at the graphs more closely and had to correct an algorithm. Does the correction mean that they noticed the comment on this blog and made corrections? If so, it means this blog is serving a purpose and that some services are actually striving to be accurate and honest with the numbers they publish. I think I’m accurate with this, but time will tell. What you [snip] fail to appreciate is that we have reached a Tipping Point ( named for Tipper Gore). Now all facts must be statistically modified.. Get with the program. I saw that this morning too. I didn’t save any images but I am going to in the future. I look at the nsidc site every day and see how much the ice is extending beyond the orange median line. They removed the one in Hudson’s Bay. Good work Anthony! This is unbloodybelievable!! I demand an explanation! I’m no professional but the NSIDC chart flatlined for a week around the time Obama was elected! Was that a fluke? I don’t know. Quite possibly. Professionals please comment! Now with the really cold temperatures it’s shooting up again. If it goes on for another week the same way it’ll hit the 79-00 average by Christmas. There are clearly BILLIONS of dollars at stake here. If AGW isn’t real, then Al Gore’s position at his mega VC disappears overnight. His credibility shot to pieces. That’s a powerful reason to keep up AGW, wouldn’t you say? In otherwords the arctic ocean / ice self regulates over decadal time scales? I don’t think that is so very much slower. I suspect that his reputation is going to take a few more hits over the next year. If the adjustment is 500 000 square kilometers (from the article headline), it is equivalent to 1.3 times the total land area of Norway. I’d be hugely entertained, Dear Moderator, could I know why my 11:37:50 was subject to your revision. I believe the best thing about Wattsup is its shall we say “Open Mind”. I noticed the change in the chart also this morning. 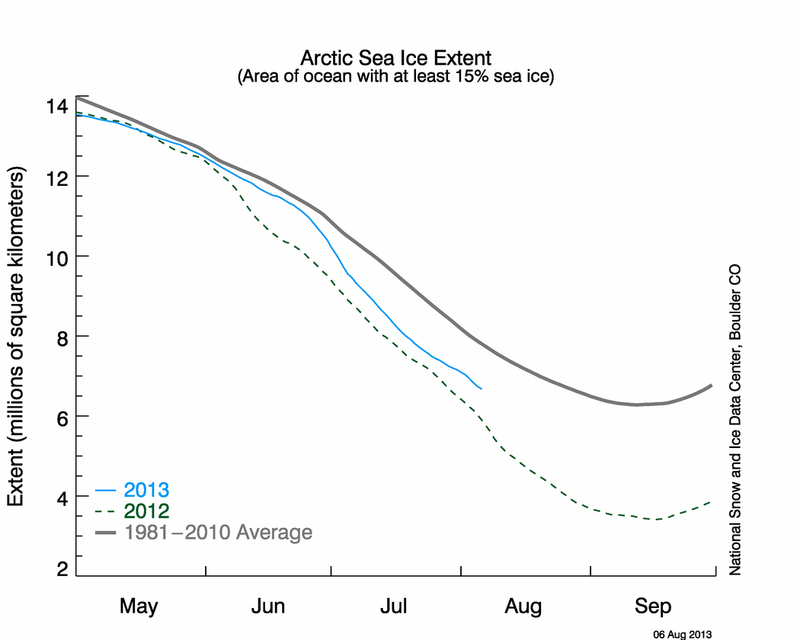 As the ice extent reached the average suddenly the graph is changed without explanation. It will be interesting to find out why since only one side appears to be routinely involved with data manipulation. The Arctic Summer ice melt is Al Gore’s primary example of global warming and one the public identifies with best (even though if all the floating ice in the world melted it would not raise sea levels). If he loses this example the credibility of his entire argument will be damaged. Having earlier ice formation and more old ice should hopefully lead to a smaller melt next Summer. 11:37:50. Some places you can’t say McIntyre. Are you sort of like them? I don’t think so. I’ll be patiently waiting to hear the explanation for this one. Nice observation. I made a couple of overlay graphs showing Cryosphere Today area data vs. the Nansen data. It does appear that there was a discrepancy in the pre-December 11 data, which started around September 11. The newer Nansen data is generally more closely aligned to CT than the older data, though Nansen is now running significantly lower than CT since early November. In the December 10 version, Nansen was running consistently higher. Over the last month, the CT data was about midway between the December 10 and December 11 versions. You can see the overlays here. As Anthony said, it would seem that an explanation is in order from Nansen. Has the area graph been updated too? I have some vague memory that ice within 5 miles of land was no longer going to be included in the total. Have they changed their definition of sea ice on us? Ice area was revised upwards, so instead of 500K sq. km disappearing, shouldn’t the headline be that it appeared overnight? Which is great news. But, yes an explanation is certainly needed for why. You have it backwards sir. 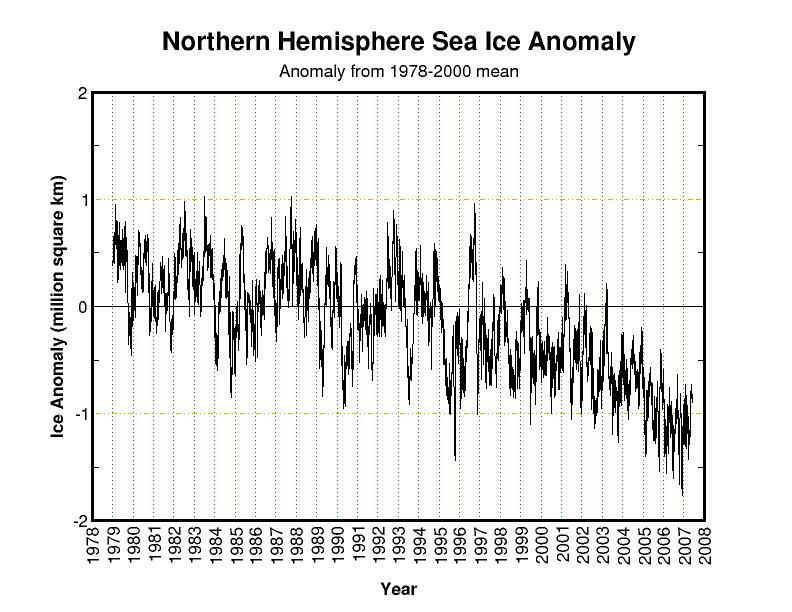 The original graph had the ice level at a higher level, and right when we were about to reach the average level for the first time in years, they retroactively changed the data to be lower. The original graph was higher then the new one. These are the words of the NSIDC. However, there is room for the ice to thicken. I found the statement of the obvious to be amusing. I think that, as he says, he is confused. Perhaps he is referring to the thin turquoise line, and associated comment, where it appears to have been revised upwards in October. Clearly, however, the big change is downwards. Look, I don’t want to be too vulgar, but is there any data anywhere in this bloody so-called climate “science” that would pass muster in a respectable experimental science laboratory? Or all all these climate “scientists” hopeless duds or crooks? it seems that the “observed” curve in the 2008 forecast of ice area graph is out of sync with the “observed” curve on the observations page. Maybe this is the old curve before adjustment and it was just forgotten. Maybe it is the correct one (?) Mind you the colour is blue for observed on this graph. Yes – an explanation to clear up this matter would be a good idea. I recall that in days gone by, there was a proposal by scientists to relieve the water shortage in California by towing icebergs down to the coast of California and using the melted water to supply water to the coastal cities. My thought now, inspired by your comment, “Maybe their drinks were getting warm, and they needed…,,” would there be enough salt retained in the water to preclude the need for salt around the rim of my Margarita glass or my Salty Dog glass? OK, thanks. I seem to have misinterpreted the comment of Steven Goddard’s about not remembering a single time when ice area or extent was revised upwards, which suggested to me that it had been this time. You poor, sweet, naive fool, you still TRUST the ‘scietific community’? I am about sick of paying taxes for false data, bailouts, criminal politicans and on and on and on. Is anything correct any more or is it all incorrect? It’s hard economical times now. What is a climatologist to do if the funds start dry up. BTW. Have you seen the cryosphere. Today it is almost possible to walk across the ice between Greenland and Iceland. We’ve seen this before with even honest researchers. There is little impetus to reexamine data when it is conforming to your theory. It is only when the theory is challenged that they go back and revisit their data. Here’s wishing my fellow Southern Californians a safe and warm week of a once in 50 years arctic weather storm (as opposed to climate storm). It’s simple. If CO2 can tele-connect backwards in time to adjust the temperature, there’s no reason it can’t go back in time and retroactively adjust the sea ice extent as well. Reality once again is stranger than fiction (Back To The Future). Perhaps you can remember (you could check the archives), where a month or two ago, I mentioned that the 2008 refreeze curve looked to be an exact copy of the 2007 refreeze except it starte around two weeks earlier. I asked if you could delay the 2008 by two weeks to see how ell it matched 2007; and you replied that it wasn’t your graph so you couldn’t do that. So look at your blink comparatore again and imagine the “before” regrow delayed by two weeks, and you’ll see it is a duplicate of the 2007 data..
All of which still means that outfit is screwed up. I agree that NANSEN owes everyone an explanation. I suspect this represents an embarrassing situation for them in exposing an overlooked error. Sort of like the left hand didn’t know what the right hand was doing. Or in this case, no one compared the difference between their three-year graph and its STD counterpart. I never really looked at their upper set of graphs comparing ice extent/area for three years, usually just looked at the standard deviation graphs. I had noticed some time ago that NANSEN’s standard deviation graphs were running ahead of the values shown at the IARC-JAXA site. I doubted my own doubts and just assumed they were using a different standard or software. With this adjustment, it appears that NANSEN’s standard deviations graphs now match their own three-year comparison graphs as well as the graph put out by IARC-JAXA. Notice that NANSEN’s uncorrected STD graph had ice extent at over 12 million km², whereas the data at IARC-JAXA for 12 Dec had ice extent at 11.681 million km². Doesn’t look like an AGW conspiracy of any type, more like an embarrassing case of sloppiness. The remaining three months of ice formation should be most interesting. FWIW, I don’t pay close mind to NSIDC as their explanations sound too much like trying to get the data they observe to fit the warming orthodoxy. What I would have been interested in hearing though, would have been an explanation for the way the ice formation in the Bering Sea seems to be doing so much better this year while, at the other exteme, Hudson Bay has been so slow to freeze this year. I think the 2009 melt season should be most interesting. We will start into 2009 with more “multiyear” ice which stands up better to summer conditions than we had in 2008. Extent doesn’t matter as much as salinity and density. Salty “yearling” ice melts fairly easily once the sunshine hits it. Fresher, denser “old” ice stands up better. probably a bunch of government scientists sitting around one day figure they needed a few extra years of heavy funding and lots of Travel & Expense Accounts so they could max out their pensions before the whole scam went kablooey. Gotta keep the scare going or the scammed might find time to actually think about the real data. By the time the scam is busted, they’ll be retired, have lots of great memories about saving the world and pictures from the numerous Global Warming Conferences they attended in Bali. The new guys can wear the crap can of retribution when the “science” fails to match the actual data, when even fudging the data no longer can be used to hide the truth or used to scare people. Different game, different song me-thinks. These guys don’t sleep at night. There has been an error in the ice area calculation since about 22 October, causing too steep slope of the 2008 curve. We corrected for this yesterday and recalculated the ice area for 2008. The slope of the 2008 curve should now be correct and can be compared with 2007 and the previous mean monthly ice area. > what happenned to your data ? “The entire Polar Ice Cap will dissapear within 5 years”. What is Al Gore using to make this statement? Does Al Gore really believe he can convince people that the ENTIRE cap will melt in 5 years? That is a physical impossibility. Temperatures on the polar plateau rarely exceed 10F in summer and -115F is common in winter. The annual mean temp is less than -50F. Temperatures would have to rise 20F just to BEGIN melting that ice. He seems to forget that ice is accumulating at the South pole. The ice cap is thickening in interior Antarctica and on Greenland. I’ve seen this kind of “adjustment” all too often with raw data covering an assortment of parameters. Whether it is tropical storms, temperatures, or ice cover, the adjustments also serve the interests of the Alarmists agenda. This could very well be a legitimate adjustment, but I am too cynical anymore to buy into it. In recent years it isn’t just stock analysts, politicans, and CEOs who have a problem with the truth. Scientists can now count themselves as peers in that infamous group of public liars. One can tell a lie as long as it “serves the greater good” -however the “good” can be defined. But please, don’t pee on my boots and tell me it’s raining. How does Al Gore figure that the ice never melted in the last 3 million years? We know that it didn’t melt for the last 30 years so over-represent that by a factor 100,000. I accept the explanation as Gardy relayed it to us at 15:51 and assume good faith . But the graph changed per 11 September, not 22 October. Apparently the error in the calculation – what ever it was – about 22 October affected calculated areas from 11 September onward. That seems odd. My guess at an scenario: a first error existed from 11 September to 22 October. Then a newer error was loaded about 22 October. And both have been fixed now. I have been watching that page daily for a couple of months and had noted that the bottom graphs where the data is compared to the standard deviation was different on the leading edge from the graphs above it. I wondered why that was because the graphs are labeled the same. I thought maybe it was some sort of smoothing filter run on the data and the two graphs would converge. It couldn’t be a mistake on such a scientific site, I thought. So nothing nefarious is going on but obviously it seems someone has been doing his graphs wrong since Sept. 11th. Perhaps Mr. Gore should do a little reading. The sediment core contains mostly faintly laminated silts or sandy mud with frequent pebble-size rock fragments, which is typical of deposits found in water bodies covered by an ice sheet. Sandwiched in the middle of the faintly laminated silts and sandy mud, the researchers found two distinct and separate layers containing organically rich material that most likely date back well before the Holocene, representing earlier ice-free periods. The samples they found contain the remains of diatoms and other organic material, suggesting that they represent ice-free conditions and possibly interglacial periods. “There are no paleolimnological studies of lakes that cover several warm periods in this area,” Hausmann said. The terrestrial record will be complementary to marine records or to long ice-core records from Greenland. The arctic has had several periods when it has been “ice free” in summer. This interglacial isn’t particularly warm but it has been a long one. The last interglacial (5e) was warmer (though shorter) and saw higher sea levels and less polar ice than we see now. If I am not mistaken in September there was some bad data at NSIDC for a few days that showed a kind of crazy fluxuation, this appears to be what was taken out in the comparisons. Perhaps they were appendig data rather than replacing it and someone decided to do a full update to correct the entire record. Just something I remember from September…. … and in Michigan, beaches have reopened for the holidays with lifeguards present from sunrise at 5:00 am to sunsent at 11:00 pm. There have been flash flood warnings in some areas as melted ice-water surges from Lake Superior to Lake Huron to Lake Erie; however, massive atmospheric heat buildup over the Great Lakes area has eliminated any danger of hypothermia by warming the water to 74° as it approaches Toledo. Oh, wait, that was just CO2 buildup from Al Gore’s jet flying by on his way back from Germany. Time to close the beaches again. Is it just me, or does the NSIDC Extent graph extend a week and a half into the future? Do they know something we don’t? My friends in Fairbanks tell me it’s bloody cold. Not much ice vanishing on land. I thought Arctic ice was mostly fresh water. (freezes easier) Might not do that Margarita much good. Arctic sea ice is frozen sea water but the longer it lives the more the salt works out of it. The older it gets, the fresher it gets. Watch “the baby with the bathwater” thoughts. There are plenty of good scientists out there trying to do a good job. Do they make mistakes? Sure, just as we all do. Some of the above even buy into AGW. If what we buy into (I’m trying to avoid the word “believe”) is true these people with good ethics will eventually tumble to the facts. Gore, Hanson and others will not, for whatever reason. There is no hope for them. I can use the example of the Pielke’s who are working on the assumption that land use is an AGW driver. They have a great rep on this blog, and deserve it. Could they be right? Sure – and with that man (us) is degrading the climate. Could they be wrong? Yup. But I bet there’s no gloating if that occurs, because these are excellent people, doing their best, and willing to be “””””wrong”””””” in the name of science. Lief likewise, and many others too. We need to separate those with science ethics from those who have no ethics except the search for money. Allow honest mistakes, skepticism is good and welcomed by those who deserve the title scientist. And yes, I’d sure plant some trees for the Pielkie’s even at this point if that’d help – because their research makes some sense, while the CO2 “stuff” doesn’t. In my opinion, the reason NSIDC uses the 1979-2000 average is clearly because this statistical mean offers the highest average for any months during the period of satellite observation. Therefore any other year would lower the value and defeat the purpose. Other years “should” appear well below this arbitrary mean and as a consequence expose graphically the effects of AGW so some scientist could safely make alarmist predictions. The problem with this average is that it masks each year specificity of phenomenons and events thus making analysis more difficult. In the end this average has no physical significance. However the subsequent years taken individualy do show their own specificity. This data processing is a mis-representation. Even using NSIDC data, 2008 ice extent is now only 4% below the 1979-2000 arbitrary average and closing: there is no escaping Nature’s denying power! In here ( http://ocean.dmi.dk/arctic/icecover.uk.php –the best and most clear graph) the increasing ice trend has stopped abruptly, tough it was rising faster than ever. It shows no change for previous possible “errors” around October or September. The rate at which Hudson Bay was replenishing is amazing. Now it is 99,9% full. I don’t know the differences in the algorithms but at UIUC the data has an offset relative to the NSIDC data which is a visible upward correction prior to 1998. Also the sea ice AREA from the SH has a positive slope greater than the negative slope in the NH. Everywhere I look there is another oddity in method which universally benefits AGW, often without explanation. I am starting to be skeptical of my skeptic status. Something I won’t let go of easily but in time these guys will beat me down. The question is are they dispassionate observers? A long-term objective is to develop modelling systems for seasonal prediction of sea ice, hydrographic and current conditions. State-of-the-art climate models will be used to quantify climate change and variability and prediction of future climate changes under greenhouse gas scenarios. I am a neophyte to the ice watch, but have been watching the AMSR-E link which was poised to breakout above the other years on the graph, and then we see this story and now the 2008 line appears to have taken a right turn. That isn’t possible in reality (given we all know its colder than blue blazes up there right now) because Nature simply doesn’t do that many right angles. Whaaa? So I think more than one graph is being rigged. I too am suspicious of this apparent “adjustment.” Even if it’s perfectly defensible, there is a huge danger of bias since more ice has a natural tendency to draw more scrutiny. There are probably errors in both directions, but the ones showing less ice (perhaps) don’t draw much attention since they are helping show what conforms to the popular view. It would be interesting to do a meta-analysis of “adjustments” Just as errors in restaurant bills have a strong tendency to go against the customer, I would guess that adjustments to weather and climate data have a tendency to favor the CAGW hypothesis. As far as ice extent is concerned, I was on a troop ship in May 1953 that made stops at air bases at Godthab or Julianehab and Sondre Stromfijord that is near the Arctic Circle. Before reaching the first air base in Southwest Greenland, we went through continuous sea ice for days with an icebreaker and helicopter leading the way. This may be anecdotal but in May 1953 the ice extended some distance south of the ship’s first stop in Greenland. The science is settled. Move along, nothing to see here. Actually wasn’t October, even after correction, supposed to be very warm in the Russian Siberia? Could this have caused the ice growth to slow in October? Clearly they hired some JPL engineers from one of the Mars Lander operations. It’s got to be a units conversion problem. Small town newspaper archives ought to record when the harvesters went through on the south to north yearly wheat harvest pilgrimage…. there must be SOME way to validate / invalidate the formal data. Umm…..yeah….Hi Anthony. I need a favor. I notice tomorrow’s high temperature in Bismarck ND is forecast to be -11 degrees F.
Would you mind teaching me again (I forget easily) how Global Warming is making winters warm in unprecedented ways in the Great Plains? Thank you. > appears to have taken a right turn. Of course, once Hudson and Ungava bays are covered, the wild uptick stops. There are other growth spurts, e.g. the Arctic basin freezing over. While a big open area is filled, the growth goes up, until the area is filled. Then the rate slows down. To get an idea of what’s going to freeze up (or not) next, see http://www.osdpd.noaa.gov/PSB/EPS/SST/climo.html and select “Full_Global” from the latest date. It’s updated Mondays and Thursdays. Looking at the December 11 image, I expect little, if any northern freezup in the next few days. Maybe minor expansion of ice cover in the Bering Sea. Notice how the new minimum is now slightly later than the mean showing how onset of refreeze is later each year supporting the claim of a warming Arctic. Does Hudson Bay freeze solid every year? Looks like it is about to this year. I take if for granted that the revised graph is actually a correction; the old graph was just wrong. It is understandable that so many of the comments here are indignant because many of us were probably feeling pretty smug that “nature is not cooperating [with AGW fears]” and we’ve just had a seemingly irrefutible observation refuted. Into the bargain we have quite a lot of egg on our collective face because we didn’t query the graph as eagerly as we really should have done before now. The “observation” suited us. We are (or at least I am) as guilty as any AGW-ist who fails to skeptically evaluate the evidence. That’s what really hurts. I hope I learn a lesson from this. Having said all that though, there is still more ice this year. It’s just that it’s a fairly ordinary amount. But that’s OK.
Is it just me or does the majority av errors found in datasets get an adjustment that fits the AGW theory more? It almost looks like there is an bias when searching for errors. If data fits AGW theory it must be correct and there are no reson to search for any errors. If it does not fit AGW theory it must be throughly checked to see whats wrong with the data. Coinsidence or biased error finding?! The fact that the AGW conference in Poznan is ending and they are about to announce their results might have something to do with it…? OT: Here im Portugal, November os the 3rd coldest November since 1931! – What the hell is going on?! – Now it’s cold and raining… I’m not thar old, but it reminds me of winter in the … 70/80! Whats going on ?!?! Perhaps the ice has actually being melted. Natural Habitat Adventures run a tour to the North Pole. They us the NUCLEAR Russian ice breaker “50 Years of Victory”. If Al Gore is right then we only have five years to make this tour. The expedition video shows the “50 Years of Victory” smashing or vandalising its way through the ice. No mention of the nuclear reactor pouring tons of boiling water out into the ocean. If you view the video try and count the number of immersion suits the tourists are wearing as they board the helicopter. Yes the helicopter which is going to fly them out over the Arctic Ocean. But there might be some bad ones out there trying to scam the rest of us. There are also plenty of good bookkeepers, accountants, and auditors out there, trying to do a good job. And then there were the bookkeepers, accountants, and auditors for Enron and WorldCom. The question is how do we separate the good ones from the bad ones? The unidirectional data adjustments I keep reading about are starting to look like someone cooking the books of a failing enterprise in order to stay in business. i know that site. The graphs in the top and in the bottom were always different, but they seemed to show the same data. I could not figure out the problem. Now, it is clear, the graphs in the bottom were just wrong. So, why do you make a big deal out of it? Have you not noticed the differences in the graphs? You are the expert, I am just a small normal layman. 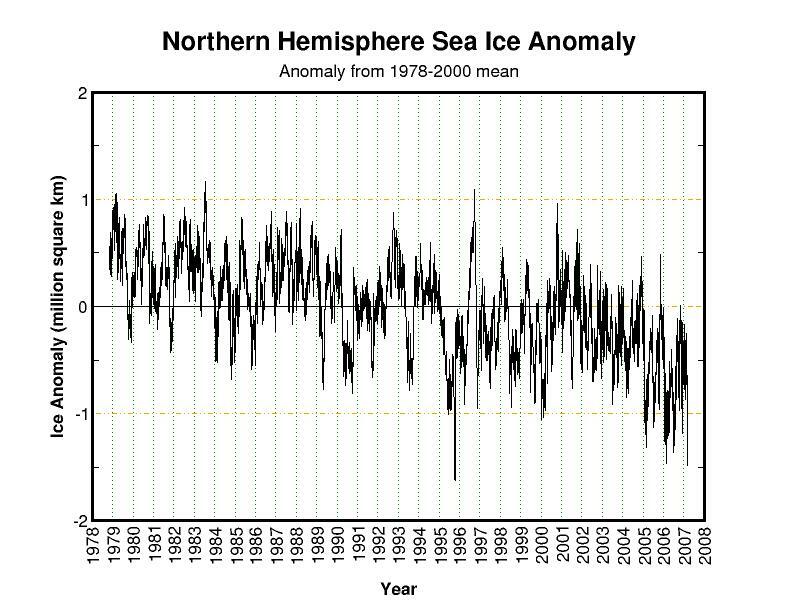 If errors can change the graph that much, I don’t see what the all the fuss is about over ice extent. All the noise about “lowest year on record” only means something if the record is reliable. Small errors, finding things which improve accuracy, are fine. But this? It shows their methods are unreliable. No need to call on Sir Anthony for this…it’s really quite simple. Draw a graph of your current temps. Maintain the graph for a period of time, let’s say a few weeks. Then alter the graph to show that the last week of the 3 week period is warmer. Then you’ll realize that you only THOUGHT it was -11deg, but it was actually much warmer than that. I will take no such thing “for granted”…and I don’t feel that anyone here has any egg on their face. We still don’t even have a complete explanation of what happened. The only explanation given doesn’t fit the action. And as for Gore getting his come-uppance if the caps don’t melt in his 5yr prediction?…won’t happen. These folks are like the barkers that repeatedly predict the end of the world on a specific date. When it doesn’t happen, they come up with a reason, and move the date. And that’s exactly what Hansen/Gore will do, and they’ll do it successfully…because there are millions and millions of people who believe they are doing a great service to the planet…and simply will NOT let facts stand in the way of that belief. See http://arctic.atmos.uiuc.edu/cryosphere/IMAGES/recent365.anom.region.13.html for how Hudson’s Bay has behaved over the last year. Last December it froze early, this year it is freezing late. I think the issue this year is that the jet stream has been forced to go a little west of north by the blocking High over Greenland. So while New England has had the expected cold weather, I think the strom track has brought warm maritime air to the eastern part of the Bay. It may also have brought storm winds that could have kept the Bay open. Caveat – rampant speculation above. The 2008 sea ice figure was just a millimetre short of getting above the 1979-2007 average for the first time, about to make a rather steep intersect too, when the ‘correction’ just happened. OK boys–panic over–we can all relax. How is it we who have egg on our faces? Certainly we cheer when observation appears to falsify yet another AGW claim, and we’re outraged when yet another adjustment goes back in time and gets (ahem) Corrected in favor of the AGW industry. An AGW industry which is financing much of this “science”. When such adjustments are done, with no announcement and no audit trail (and apparently in the dead of night), then how are we expected to accept that it was all done in good faith? The AGW industry has a long history of such adjustments. If they wish to call their activities “science” then they need to do this stuff out in the open, in the light of day, and they need to leave a full record in their wake (e.g. algorithms, and the unadjusted raw data that those algorithms used to produce the published results). Such a simple thing, and they can’t bring themselves to do it. It is they who should be embarrassed, not those of us watching the earth apparently beginning to cool back off again, in the face of all their pronouncements. Ah! Entrepreneurship! To change graphs and sell them to RealClimate, Al Gore, IPCC etc would compensate financial crisis losses and enables me to afford a much needed winter fur. Thanks! Hudson Bay is freezing rapidly right now because the Arctic air has moved down. -35C at Churchill this morning on the western side of Hudson Bay. Its a little warmer at -25C on the other side of Hudson Bay but that is cold enough to freeze Hudson Bay completely and it will stay ice-covered until July next year. Here’s a reminder of the unexplained Cryosphere Today change of 25 July 2007. The BEFORE image refers to 23 December 2006, an image retrieved from the waybackmachine website archive site. As it gets colder and colder, the AGW people will just make adjustments and more adjustments. After all, Obama is coming to make CO2 a pollution and add major taxes on all that release it. If you think they are going to let this chance slip away, you can forget it. CO2 is going to get slammed in 2009 before it gets too cold to go after it. Once it get slammed and it’s still getting colder, the AGW people will get the credit with CO2 adjustments in that data as well. Hum, I wonder what will happen if we have another 1977 after they cut CO2 and energy bills are $1K per month. Nevermind, they will just bail everyone out. Crisis is a great opportunity for change! I have a problem with constantly changing algorithms and then expect a comparison to previous years to still be valid. A comparison to previous years should use the same algorithm for all years or prove that previous years are not changed with the new algorithm. I don’t care that the new data agrees with Cryosphere Today since they have the same changing algorithms issues. All these guys are out of control. A complete independant audit is neded. Good luck on that though. I do not trust these men at all. The fox is in charge of the hen house. I’m having trouble with the explanation “There has been an error in the ice area calculation since about 22 October, causing too steep slope of the 2008 curve.” I wasn’t aware that mathematical equations had “use before” dates on them. Either they are always correct or they are always wrong! If they’re futzing around with the algorithm as they go along then it could be argued they are manipulating data to try to fit it to a preset outcome. I was just thinking of the many AGW predictions I have seen over the years. I remember one ten year warning from the UN in 1988. Has anyone, anywhere recorded all or many of these predictions? I believe another ten year warning has been issued in the last four or five years. It would be nice to have a list of the easily quantifiable AGW predictions of the last twenty years or so. This is an extract from one of the founding papers of the NANSEN project. It’s dripping with mission statements that would be meaningless if the arctic were shown not to be melting on a sustained basis. If you think your going to get any reliable data from this heavily governmental and NGO funded organisation, you’re living in cloud cuckoo land. Page 18 is the introduction. I wonder, why the two graphs of Dec 10 – 11 are different? In particular, why are the 2006 and 2007 lines varying between the graphs that are otherwise identical? Oh, while I’m here: What happened to the GISS’s monthly average for November? It is almost always out by the 10th of the month. They seem to be camera shy after last month’s screw up. I find Stein’s explanation to be believable, though he should release more details about the source of the error. I don’t see any reason to believe that he has an agenda, and the new data lines up somewhat better with UIUC area data than the older versions did, at least for September and October. The new November/December data does look low relative to UIUC. Either way, the data is right on the edge of one standard deviation, and extremely cold weather in the Sea of Okhotsk will likely cause a narrowing over the next week. Actually, the two sets of of graphs have had a problem since about October. The two bottom graphs in the set always seemed to show area and extent (respectivley) higher for the 2008 data by about .5 million sq km than the upper graphs in the set. I noticed this previously, but could never figure out where the raw data were kept to check out whether the top or bottom graph was right. It appears that the top graphs were correct. The question is, why did NANSEN plot the bottom graphs incorrectly for about 3 months? Well, that’s normal 🙂 After a week of fast refreeze, we will now have a few days of slowdown or even retreat. Water must cool down. A little non-scientific experiment, purely using mark one eyeball, for fun only, no major conclusions to be drawn. One thing we can do is find where the revised 2008 line is very close to the 2007 line on the same date and see if there is much obvious difference in ice on the Cryosphere polar maps. 2007 shows more ice in Hudson Bay, also around Kamchatka, Arkhangel’sk and the east coast of Greenland. 2008 shows more ice round Svalbard and the Chukchi Sea/Bering Strait. A difficult call – it does look pretty similar. To me there looks to be considerably less ice in the 2008 map. Hudson Bay, Arkhangel’sk and the east coast of Greenland in particular, are below the 30% threshold. The weird thing is – there still seems to be insufficient ice in the 2008 map. Me, too. Actually it is more comforting to see the several different data sources in closer agreement. It was concerning to see such widely different reporting of the same thing as one could not be sure which data set is correct. Now that they are in closer agreement, a better picture of what is the likely reality can be obtained. Some of you guys are entirely too quick to claim some sort of conspiracy rather than a sutpid mistake. I haven’t paid any attention to the bottom Nansen graphs for months because they were clearly wrong. All you had to do was overlay the upper and lower plots in Paint to see the problem. It was also not difficult to determine which plot was correct. I can take the Nansen (upper plot) and CT area data and do an overlay in Paint and get an excellent match for most of the curve by offsetting the CT data to the left and stretching or squeezing the y axis. I can do the same thing with JAXA extent data and the Nansen extent plot (no need to offset the date for that data). The minimum extent doesn’t match, but that’s to be expected given the higher resolution of the JAXA (AMSR) data compared to the SSM/I data used for the Nansen plot. Re my egg-on-face comment: many of us (and I count myself here) have been exulting in the apparently rapid recovery of arctic ice extent this year, based on the now-repudiated NANSEN graphs. We now either have to show that the new “corrected” graph is badly wrong–or at least more wrong than the old one, or accept that we should have been asking long before now why the NANSEN graph didn’t tally with other sources. We can’t have it both ways. I am putting my hand up and saying the earlier graphs suited me so I didn’t bother asking questions even though I had noticed from looking at ice-extent maps from other years that we do seem to be a few weeks behind (e.g until a few days ago Hudsons Bay was basically clear). Now all the warmists I challenged to explain the rapid arctic freeze can rightly call me a twit, and I shouldn’t be surprised if they don’t feel the need to waste time talking to me in future. I am pretty annoyed at being wrong-footed like this, but do I think the new graph probably is pretty close to being right. This in no way excuses the conduct of organizations that just restate their results with no explanation. That is inexcusable. Heads should have rolled and we should have been given reasons to expect such an error can’t happen again. As far as we know the same half-wit that messed it up this time is still in charge of it and can easily do it again. The “baby with bathwater” analogy doesn’t hold. As a practicing scientist I know all to well that too many of my colleagues are perfectly willing to follow the the AGW creed in order to advance their careers or because the “believe in” the the underlying rationale of the “precautionary principle”. Those of us who dissent are marginalized and usually not considered for advancement. I personally am safe and satisfied in my position, but many of my younger colleagues are not. All the same I have little sympathy for their position. A really cold winter followed by a really cold summer may shake up the scientific community, but the AGW train is running pretty fast now and it will take many years of this to bring it to a halt. Most people will react strongly when the realization hits that they have been duped. Political leaders will follow the herd once again and come down hard on the sciences. This will be a bad time for all sciences and scientists will pay for their support of AGW. It will take a long time for most people to trust science again. Usually, sea ice extent is defined as an average of several days in order to eliminate calculation errors by data deficiency. However, we adopt the average of two days in this site for the purpose of rapid release. This is quite possible, depending on what they are measuring. For example, strong winds might have pushed together ice fields that were over their threshold (30% or whatever) and compacted non-fast ice around the edges. I know where all the missing ice has gone! It’s just arrived here on Vancouver Island in the form of fourteen inches of snow overnight. Please adjust figures accordingly. Roy, this is why the NSIDC is despite its obvious bias -and perhaps because of its obvious AGW bias- a good site to get information. Again, Nature is not cooperating: Arctic sea ice extent is only 4% below the average 1979-2000 that is the highest average they can find… and closing. Have any of the weather reporting agencies tracked here EVER made a correction in the direction of a cooling trend, or moderation of a warming trend? Go to Daily Artic Sea Ice Maps site and compare the Ice by date from last year to this year and see for yourselves the greater extent of the Ice this year vs. just last year same time. Edward (07:13:32) — Terrific GIF! Did you save these two d-bases & graphs yourself, or are there reference links? I trust Cryosophere the most for Arctic ice info. Until the AGW mafia highjack them, they are at least showing the pictures. It is so obvious that the entire hysterical focus on ice was just the latest in an AGW phony fear, if you simply look at the photos. Remember: Hansen’s first prophecy was that if CO2 was where it is today, we would be facing a much warmer world by now. Then in 2005, the aGW fear mongers grasped onto an active hurricane season and claimed that was global warming. Then as the Arctic ice went towards a cyclic minimum, the AGW industry grasped onto a melting Arctic to claim *that* was the apocalypse fer sure. That is being proven wrong. The AGW industry, as always, depends on its believers to willingly suspend their critical thinking skills and to participate in the latest version of the scary end of the world story they are peddling. That participating AGW believers with access to data would doctor it or play with it is not to be unexpected. Accepted. How I tend to progress. 🙂 Thanks for pointing me at the link. I usually only check NH ice only on Cryosphere. I must broaden my viewing. Watching intently for the west coast of Svalbard to ice up before March. Only when the error had been spotted by diligent bloggers. I found out that there was an error in area calculations from 22 October. This has been corrected. Strange how it was found just as both the area and extent reached normal levels. The problem with those that are playing ‘hide the data’ is it is getting cold, people know it, see and are forced to shovel it. And there is nothing they can do which will fix that fact as easily as they can fix the headlines in the media. When you try and tell someone who is sitting in their darkened house, looking out the window at the building ice and snow, the lie becomes obvious, even to the oblivious. Government scientists. fixing government data, so governments can collect more taxes is an ovbious scam, that will not work. And if current solar trends continue, it’s going to get colder and colder. above average. Its a colder than last year when we had 5 -10 degrees centigrade above normal during november – february . northen Europe is not particularly cold. Jan & Feb . needs to be below -5 to -10 degrees Celius for us to have a normal Winter. Let’s see if I can clarify my remarks – Some posts talk about all scientists and all reports as having an agenda. They lump every scientist into the same bucket so to speak. I think that’s unfair and very short sighted. I think P of C hit the nail when the post asks “How do we know the difference” (between those practicing science and those practicing alchemy)? And the answer is by the body of their work. Are they willing to admit error, seek new direction, and change long-held beliefs? Do they follow the lead of the evidence, or the dollar? I’ve found I learn best from those who I disagree with. I’m sure both of you know people who pursue their learning because they want to learn. I’m sure both of you know people who plod through learning because that’s the way to a paycheck. I may disagree with the former, but I’ll review their findings. We have way too many of the latter – and they are a waste of time. Yea, things are moving too fast with politicians falling all over themselves to “Save the world” (N. Pelosi). Yes the train will be hard to stop. No question of that. After all we need to save the poor Polar Bear. We will probably all suffer some economic “flushing” with carbon taxes and all. Scientists as a group will suffer for the actions of some, and that’s unfair too. Still, it will happen. The baby is those who practice good science, even at their professional risk. The bathwater consists of the dirt that prevents a healthy society from growing. The babies involved are those I named and those like them. Once again, I disagree with many on this blog, but they do seem to have good ethics. I’ll listen to them until they prove unworthy of my attention. I don’t expect perfection from them, but I do expect good science. I continue to be in trouble. With respect, it does seem you’ve been catching more of these adjustments in the last year than in the previous two. Maybe this is my imagination. Wall Street recently ran an article on the number of lobbyists being hired to work for “green” outfits. The numbers increased every year between about 2005 and 2007, with a six-fold increase in 2008. Your U.N. thread had interesting information at the end about the business in derivative- based carbon trading they are expecting. It appears to me that efforts to fix data and emphasize the negative effects of AGW are intensifying as the inauguration approaches. TWC (after sitting through endless green nagging) finally did a weather report… It looks like ALL of N. Dakota is a Blizzard Warning area along with lots of area in near by states. Repeated “negative teens” twice with “whooo hoo” emphasis..
Is there an archive of the polar ice images? Would it be possible to simply compare the white area on historic satellite images as a basic sanity check of the “processed data food” we’re being fed? WHEN folks are frozen and up to there necks in snow for the 2nd or 3rd year running with record cold, I think they will start to revolt against the AGW agenda pushers. I noticed the change soon after it happened in 2007. How soon, I can’t remember. I didn’t know what to do with my “discovery” so I first mentioned it on the netweather.tv forums (where it was picked up by a reader and contributor here) and then later I mentioned it here, at EU Referendum. I saved the new graph, the same one that is available now, and then went to the internet archive to find a saved image from an earlier time. The internet archive is an independent, non-profit organisation that is trying to build up a digital library of internet history. It crawls the web regularly saving a snapshot of webpage data, including images, from websites. You can find wattsupwiththat.com here. So if you want to silently cover your tracks this site isn’t very helpful. The data the internet archive holds should count as evidence that something was previously published at Cryosphere Today. Here is the archive of Cryosphere Today from March 2007. That’s still the old anomaly graph. Fast-forward to the next available archive snapshot in May 2007, you get the new stype graph. “When Bill Clinton took office in 1993, global warming was a slow-moving environmental problem that was easy to ignore. Now it is a ticking time bomb that President-elect Barack Obama can’t avoid. Read the whole thing. The world is past the tipping point. Obama has to save us and this year! Thank you Walter Dnes. I will study it. I live in Central Mass, and I know that with all of the news coverage on MSM regarding the ice storm we had last Thursday night, it will be almost 60Deg here tomorrow. I haven’t checked any historical sources, but I have to say that inspite of a few cold snaps?…I think this has been a very mild Dec so far, and wouldn’t be at all surprised if it was warmer than normal. I live in Central Mass, … and wouldn’t be at all surprised if it was warmer than normal. IIRC, December was just slightly above his 25 year average. November was almost exactly average. Just wondering: the NANSEN curve has only been ‘adjusted’ as of approx. September 10, 2008. Shouldn’t all the other curves in the graph be ‘adjusted’ as well? Doing that, the discrepancy between today’s ice extent and the 1979-2007 average would probably reduce to zero again. This is something NANSEN should explain. What’s the technical terminology? Jiggering the numbers? Of course it raises suspicious to see a graph change like this. I think it’s fair to wonder what exactly happened on that date in September that made this happen. I would further suggest that if you wanted to change a graph to meet your expectations while also making it not show any strange jumps you would choose the place where the graph made a big change in direction. Just as happened or was done here. It happened Sept. 11? data terrorists? Mia culpa. I pointed out to Stein Sandven that there was a descrepency between the comparable graphs, e.g. between the two ice extent graphs for 2008. The 2008 lines should have matched between the 2 graphs but they didn’t. The graphs with the +/- 1 std were adjusted down rather than the other graphs being adjusted up, thus the apparent loss of sea ice. What has happened to the JAXA graph? It seems that ice extent has reversed, and is FALLING as winter approaches!!! Re: late freeze-over of Hudson’s Bay. Canada, it would seem, is now chock-full of Arctic air, and will be for at least the next ten days. Standard deviations in the prairies 0f +4! Considering that the standard deviation out there must be fairly generous, that is powerful cold. Don’t go out and frolic in those shale-oil deposits , O Alberta! The Northeast US has not yet been consistently below normal in December, although we have had in and out shots of Arctic air. Dec 8th was the earliest sub-freezing day at Newark Airport since the same date in 2000 (Central Park had a sub-freezing day in November). The next day, however, the maximum temp was 58 and on the 10th, the high was a shirt-sleevy 65. Currently, at 10:30 AM, EST, it is 60F at Newark Airport. Tomorrow, however, should see a high in the mid-40’s, which is just about the norm. All of this is indicative of a positive AO and a lack of blocking, with an early-winter storm track from the Gulf to the western Lakes, which puts areas east of the Appalachians in the warm sector ( the New England ice storm can been seen as a warmsector event). With all of these ups and downs, December is still averaging almost a degree below normal (a good deal of that anomaly will be wiped out today). This situation should be about to end, if the consensus of models is any indication, with the cold overwhelming the pattern in spite of a basically postive AO. The last half of December may be a doozy. If it is, I look forward to reading the NJ State Climatologist writing up a third consecutive month of below normal temps, and three of the past four. I appreciate that Denver is subject to extremes of climate, but breaking a daily record by 13 degrees ?! BREAKING THE OLD RECORD OF -6 SET IN 1951. Um, that’s great and all; but, why are we assuming that EITHER graph is accurate? I have no way to assess the accuracy of the data presented whether they change it overnight, or keep it the same. Besides which, it seems that the data are all collected, recorded, and presented by individuals who have a vested interest in having the evidence support Global Warming — how is it that either graph is reliable? Why does this matter at all? The warmists are right that a few years of cold does not DIS-prove global warming. Normal or increasing ice caps for a few years does not DIS-prove global warming. Why is everyone falling into this trap? It is not anyone’s responsibility to DIS-prove global warming. Global Warming, anthropogenic or otherwise, has never been proven. The Burden of Proof is on the warmists, and always has been. The answer is in the HADCRUT data and always has been. THERE HAS BEEN NO GLOBAL WARMING. This is not something that you or I have to DISprove. THEY have NEVER proven it. All temperature data that the warmists rely on that is prior to 1940 is MADE UP. Anyone ever hear of BOOTSTRAPPING? It can only be reliably used on NORMALLY DISTRIBUTED data – which temperatures are not. How do folks here justify a Global Average Temperature for, say, 1860, that is based on data from less than 16% of the globe? Where is the temperature data prior to 1940 FROM? Are they reliable sources? Were they all collected according to ONE standard methodology? In order to try to DISprove global warming, one must first accept that the data presented to prove it is reliable/acceptable proof. Why is everyone here proceeding as if they are trying to DISprove something that has been proven? So let me get this straight, the answer to the discrepancy is the sea ice levels were too high. OK, is that too high fo the hoaxers — Or is it the truth, or is it just made up as well, the apparent error was made at the apex of the graph, hmmmm. Just call me skeptical. Aren’t the warmist hoaxers required to prove their hoax, instead of others disproving it? There is no proof that stands up that global warming caused by man exists. Well not exactly; the solubility of the salts in the solid phase (Ice) is very much less than in the liquid phase (water). The ice “grows” at the interface between the liquid phase and the solid phase, and the salts are excluded from the solid at that time, which makes the liquid at the interface even more salty than normal, but the ice as grown, is quite fresh. I don’t know exactly what the segregation coefficient is for the common salts in sea water; but presumably any of those Oceanographer types from Scripps and such places could tell us. For sea water with 2.47% salinity, the maximum density occurs at the freezing point which is about -2.5 deg C. Normal sea water is about 3.5% salinity, and freezes at an evan lower temperature, and also keeps getting denser till it freezes. The floating ice, being freshwater, melts at zero C so once the sea freezes, it tends to grow quite quickly. But there really isn’t any “outsalting” process that goes on once the water is frozen. The very concept of solid means that the molecules are NOT free to move about in the solid, so any small amount of salt in the solid is not going to move about and get ejected from the solid. Freezing, including seeded growth of a crystal, is a very common process for highly purifying materials. We used to grow single crystals of Gallium Arsenide for semiconductor products (LEDs), using a “:Gradient Freeze” process, whereby the crystal growth started at a seed crystal, and proceeded along the melt driving any impurities in front of the growth face, so all the impurities were caught in the extreme end of the crystal, or uually left in a small liquid “slag” puddle at the 3end of the growth. We also reprocessed recycled gallium and purified it to seven nines purity (99.99999%) by repeated crystallization, and remelting. Regarding the note from Stein at Nansen: ?? It is obvious that changes were made from about 11 September, but he says 22 October. WTF? And the “adjustment” obviously amounted to a constant for all months following 11 Sept. How could they “lose” a constant amount of ice for 3 months? Much more explanation is needed! When you combine this with the “hottest October” hoax we just saw and the “Ten Hottest Years” hoax a few years back and the other (always upward) “adjustments” that keep happening to temperature measurements, it stops being amusing. I looked in over at the Nansen site, today. Maybe I missed it, but I didn’t see any mea culpas over there. Perhaps they think that posting on “Watts” is enough? I kinda gotta throw in with Thorn (Charlton Heston) when he mocked Sol Roth’s (Edward G, Robinson) lament “Greenhouse Effect! Everything’s burning up!”. On 13th December the ice area and extent were recalculated and new curves plotted for 01.09.2008-12.12.2008 due to error in new version of software. Comparing the Nansen graphs with AMSR. What is going on at AMSR. They are showing that ice extent has fallen for the past week or so. I remain sceptical of the reasons for changing the graphs. Too convenient. Comparing the Nansen graphs with AMSR. What is going on at AMSR. They are showing that ice extent has fallen for the past week or so. And if you look at the other curves you’ll notice that it’s not an uncommon event even in January. Have a look at the animation in cryosphere http://arctic.atmos.uiuc.edu/cryosphere/ . There is a retreat the last few days. If you look at the water temperature anomalies, another animation at the bottom of the index page http://weather.unisys.com/archive/sst/, you will see a “hot spot” south of Iceland after mid november. Volcano/geothermal activity? NSIDC.ORG is now flat-lining for four days from 11th December on ice extent. Is this to make them consistent with NANSEN? Don’t know…….but it sure raises questions…..in the interest of science. I can believe a minor change went wrong. Happens all the time. Been there, got the T shirt. Lesson 1. run the new script over old data as you know what the output should look like. Lesson 2. It is less painful to own up with a readme /release note than to wait to be caught. That said, why has extent leveled of over the last few days? Is it real? Wind compacting? Source IJIS web site today. Well Phil, I guess it depends on your point of view. I would have to agree with what crosspatch said; only to the extent, that if you grabbed a chunk of that ice/brine cocktail and ate it, that you would get the benefit of the brine salt. But brine is not ice; and the ice, sans brine, is fresh water of quite high purity. If you dig up your potatos or yams, and you don’t pay attention to not collecting the weeds between them; then you could reasonably claim that potatos or yams have a lot of weed content. But touch! crosspatch ! ; I never pass up an opportunity to learn something myself. Only if it were new ice, multiyear ice will have expelled the brine by the mechanism referred to and is essentially fresh. I believe I did say “if you grabbed a chunk of the ice/brine cocktail”. That would not be the old ice that has shed its brine. Al Gore is correct, we all need to pay alot more tax and buy carbon offsets to stop this melting. Hmmm, HANSEN sounds suspiciously like NANSEN? Just a co-incidence? Of course global warming is nothing more than a huge tax scam with CO2 the revenue meter. The warmist campaign is not scientific but political. The UK Climate Change Bill went through its 3rd reading without debate and with only a handful of Nay votes. One needs to do more than write comments in pages such as this before the media etc is totally silenced. Stop the carbon con and don’t be affraid of being called a flat earther or other stupid names. One day the cat will be out of the bag but how much will it cost us all before then and how long will the jail term be for Gore and co for fraud on a world wide scale? A political pardon me thinks.